AutoSave Essentials is a backup software that can let you backup all kinds of file, like photos, videos, documents. The good point is it automatic save your file in the background, so you do not have to worry about forget something. It is a commercial software, costs $39.95 US dollars, but we can get it free now. 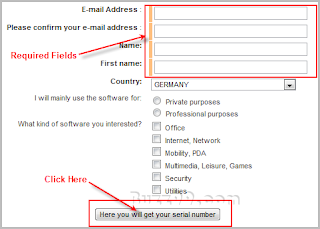 Go to this promotion page, fill a forum as this screen below, it is a German page. 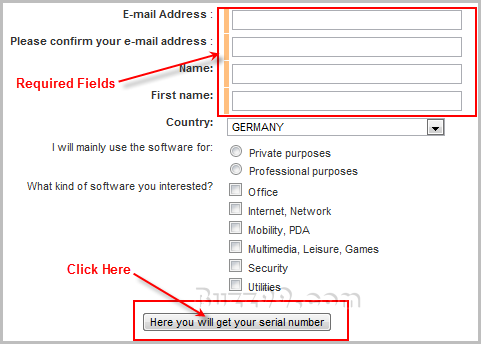 Click "Hier erhalten Sie lhre Seriennummer" button, it will send you a confirmation that mail is also in German. Click a link to confirm your email address. It will send you another email with registration code. Last step is download and install software, use that code to activate. Done!